The Government of Tanzania claims 97% enrolment in primary school. However, this claim of high enrolment seems to be untrue for most rural areas. Driving through the countryside, one sees numerous children minding livestock, hauling water, collecting firewood, and caring for younger siblings. Many children have never been enrolled, and others have been withdrawn to help with home activities. 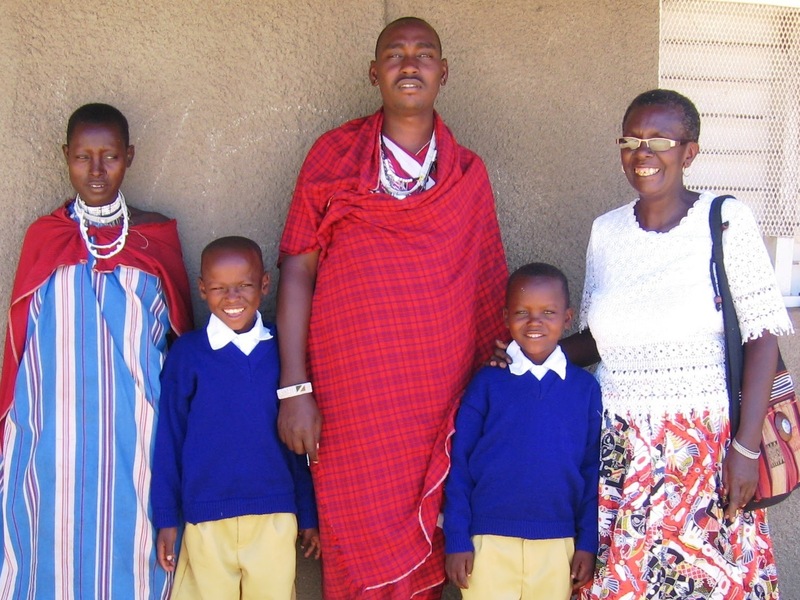 For many Maasai families, the goats and cows, which are critical to survival, are valued more highly than education. Over a year ago, Daniel and Msanja, who are twins, graduated LECHE preschool, but until recently have not been able to attend primary school. Their mother is a widow with three other children but owns no property except for three goats. When her husband died, she and her children came under the care of her brother. Because the uncle feeds and houses them, the twins have had to care for his goats so that his own child can attend school. He claimed that he could not afford school uniforms and school supplies for them. Sarah Ilmolleian, the Early Childhood Development Program Coordinator for SM-TZ, was aware of the twin’s situation, but the Program did not have funds to assist students, such as Daniel and Msanja, with uniforms. However, a visitor to SM-TZ learned of the plight of the twins, and provided a donation for them. Sarah used the money for uniforms to enable students to proceed to primary school. This provided the leverage she needed to approach their uncle about school enrolment; lack of money was no longer an excuse. Sarah took the neighbourhood leader, called the balozi, to talk to the uncle about allowing the children to go to primary school. The uncle wanted to allow just one boy to go, but Sarah and the balozi insisted that they both be allowed. 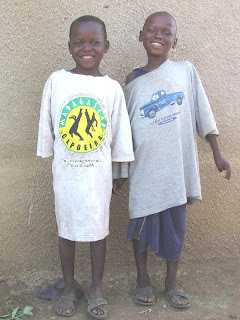 SM-TZ was able to provide the boys with uniforms and school supplies so they could enrol in school! For now they will attend day school, but when space becomes available, Sarah will ensure that they attend boarding school. As boarding students, regular school attendance will be ensured. Daniel and Msanja were named after the first two village leaders of Longido, because their mother wanted them to grow up to be great men. Without Sarah and the balozi advocating getting these children in school and without the donation from visitors, the twins would likely never have attended school. Now, they have a chance to become educated and the potential leaders their mother wants them to be; they have a chance to use their education to pull their family out of poverty; they have a chance to change the future by ensuring that their own children are educated. Change can start with just a few people; it can start with Daniel and Msanja.